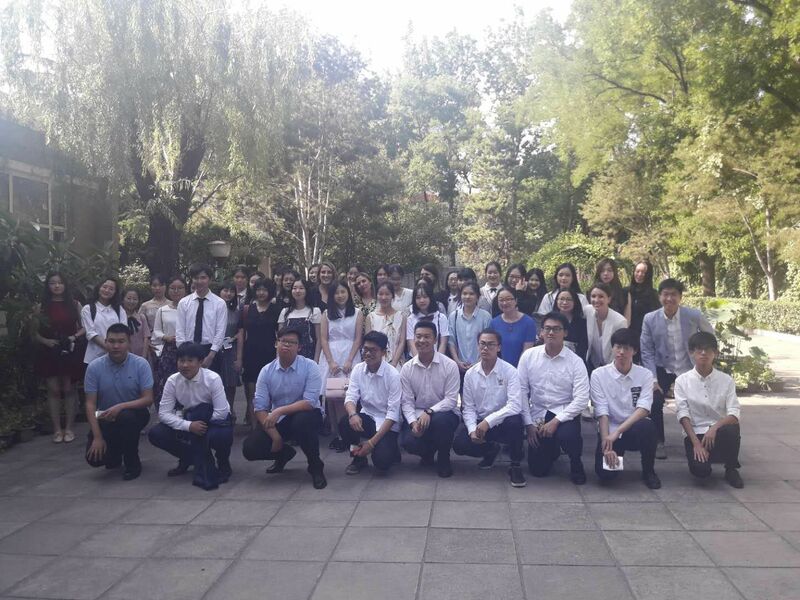 On 14th of June 2018, Embassy of the Republic of Serbia in Beijing organized activity "Movie afternoon" for the students of Serbian language of Beijing University of International Studies (BISU) and Beijing Foreign Studies University (BFSU). The students of those universities study Serbian language as major. More than 40 students along with their teachers were guests of screening of the Serbian movie "See you in Montevideo!". Students were welcomed by ambassador H.E. Mr. Milan Bačević. After the screening of the movie, students had a conversation with the staff of the Embassy, during which they had an opportunity to present their knowledge of Serbian language. The students were given the souvenirs from Serbia as a memory of attending the event.